The Messengers of Peace Heroes Award was created in 2012 to recognize exceptional Scouts, volunteers and professionals for their outstanding work in creating a better world. Each year, heroes are highlighted with a prize and ceremony to inspire other Scouts to pursue great community service. A call for nominations is now open for this year’s Messengers of Peace Heroes. Individuals, Scouts, non-Scouts, and National Scout Organizations (NSOs) are invited to nominate exceptional grassroots level Scouts to be recognized for their outstanding services to local communities. 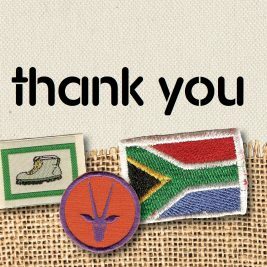 To acknowledge and recognise grassroots level Scouting efforts and contributions to community development, the promotion of dialogue, in providing relief in times of need, and in the promotion of a culture of peace as active citizens through service actions. To recognise youth engagement and cooperation with community actors in the solution of local issues. To raise awareness of the role of young people in creating a better community. To strengthen the sense of belonging to a global network of service among Scouts and community actors for sustainable development. Who can be a Messengers of Peace Hero / Nominee? Grassroots Scouts between the ages of 16 and 26 at the time of nomination. Anyone is eligible to nominate a Messenger of Peace Hero until 27 July 2018 through this form (click here) found at scout.org/mop-heroes. The final selection of the Messengers of Peace Heroes is subject to the endorsement of the NSOs. Projects and actions inspired by Messengers of Peace, Scouts of the World, World Scout Environment Programme, Dialogue for Peace and any other regional or national Scout initiative. Projects must have taken place (or be currently ongoing) in the last 24 months. Demonstrated impact of their service project or action in the community. Demonstrated participation of the Scout or Scout group in the development and implementation of the project or action. Final decision by a selection committee comprised of Scouts, former MoP Heroes, WSB staff from the Regional and Global level. The call for nominations is open from 27 June to 27 July 2018. Submit a nomination here!